In an industry that typically doesn’t place a great importance in the value of a strong brand, our challenge was to go against the grain and establish a dynamic new brand for the business that embodied our Sheffield heritage, but was able to communicate to an international audience on a global stage. Having previously worked with Stuart Lang and his branding team at We Launch for over a decade, they collaborated closely with us to understand our ambition and vision for the company – subsequently re-positioning Therco-Serck as a large, high quality, capable, honest and committed partner – an experienced and reliable player on the global stage. 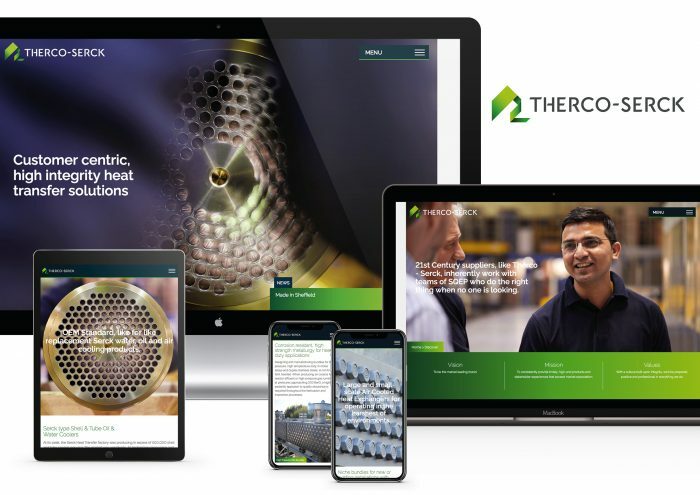 The new brand would subsequently give our multi-national clients belief that Therco-Serck are a business to be trusted; one that creates value without compromise; that delivers a greater and wider reaching service than any of its UK competitors. The new identity took its inspiration from the theme of connectivity. Whilst Therco-Serck products are Made in Sheffield they are built for a global market. Connecting continents, businesses and people – at the forefront of manufacturing innovation. The new brand embodies this journey that our business is on. It was important to bring to life Therco-Serck’s most important assets – our workforce. On location at the main Sheffield factory, We Launch worked with the photographers Richard Moran and Ben Statham – capturing a series of powerful, authentic and honest people portraits, as well as a large number of working images for us to use throughout our brand collateral. The brand that We Launch have created has given us the ability to reach new markets and has already yielded a noticeable increase in conversion. In a very traditional industry, we’re immensely proud that Therco-Serck is now perceived by our international clients as a forward-thinking British business that is both innovative and established – anchored by the skills of our people.